What: Come hear students from the WITS program read their nature-inspired poems, essays, and stories in celebration of Earth Day. View clips from last year’s reading on YouTube . 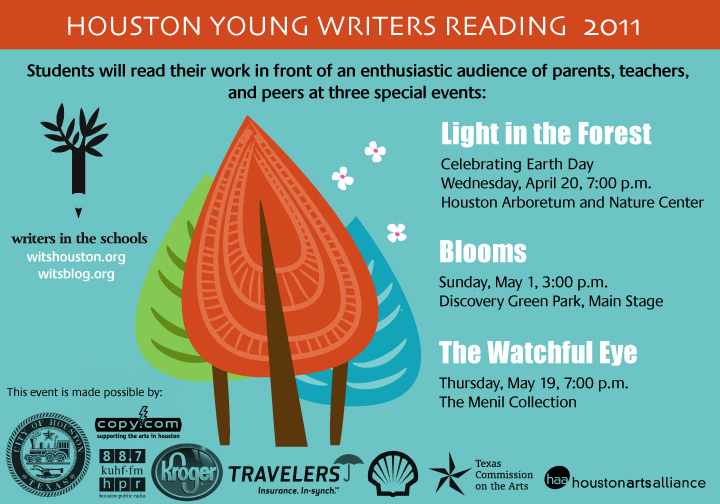 To learn more about upcoming events in the Houston Young Writers Reading series, click here.